Excellent Deal for Kia Sorento 2014 Model in Brown color! This car comes in Mid option with Automatic transmission and GCC Specs, 7 seats perfect for you and your family, cruise control, keyless entry, Aux/USB in, Bluetooth system, Alloy wheels and more options.This car has done Very low Mileage of 139,000KM only with single owner under warranty! Absolutely free of accident and in excellent condition!Come visit our showroom now and drive your dream car today! 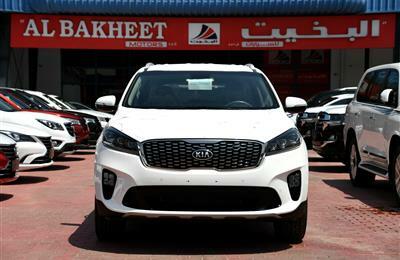 مرحبا, أنا مهتم بسيارتك - KIA SORENTO V6 AWD 2014 MODEL GCC SPECS على موقع Autozel إسمحلى اعرف هل هى متاحة حتى الأن. شكرا.